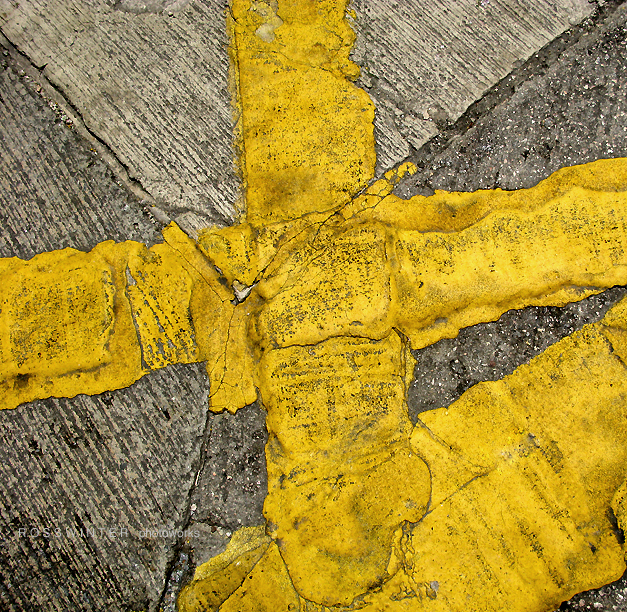 Steel plates placed over street excavations in Hong Kong. Posted in: Street Abstracts. 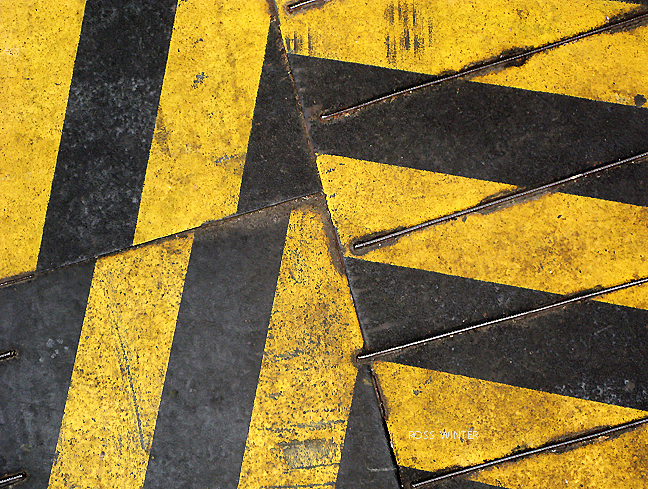 Tagged: abstract, architecture, floor, geometric, historic, pattern, paving, yellow. image 20 x 24 inches, archival pigment print on gloss paper, mounted to dibond, unframed – $750. archival pigment on canvas, with liquid UV coating, unstretched, unframed, $1400. smaller sizes available, please inquire. image size: 23.5 x 29.5 inches, price unmatted, unframed CDN$ 650. please inquire about other sizes.